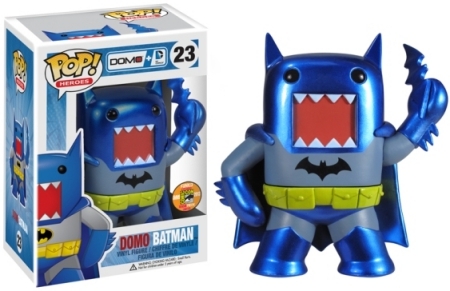 Applying a superhero finish to the Japanese Domo-kun creature, Funko Pop Domo DC Heroes features Domo disguised as popular subjects from the DC Universe. Domo-kun, or just Domo, is the official mascot for Japan's national public broadcasting company, NHK, but has become a worldwide phenomenon. 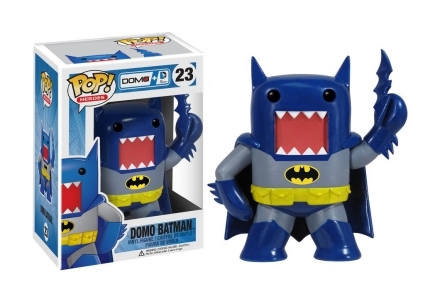 Leading the way, Funko Pop Domo DC Heroes offers the icon dressed as the Caped Crusader, including Domo Batman in classic blue and yellow, and Domo Dark Knight. 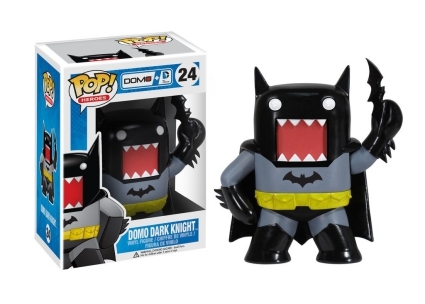 There is also a 2013 San Diego Comic-Con Domo Batman Metallic exclusive. 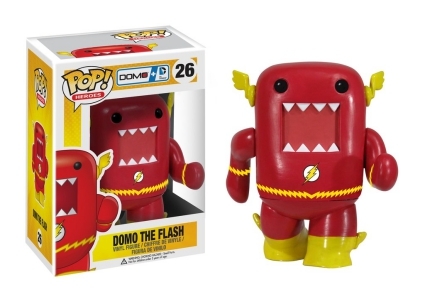 Shop for Funko Domo DC Heroes Figures on Amazon. 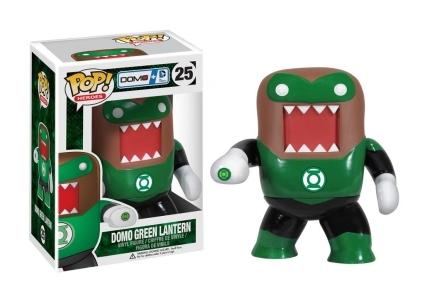 Donning the legendary green mask and the power ring, Domo Green Lantern is ready for action, while Domo The Flash is posed mid-stride to show off yellow boots and winged "ears." 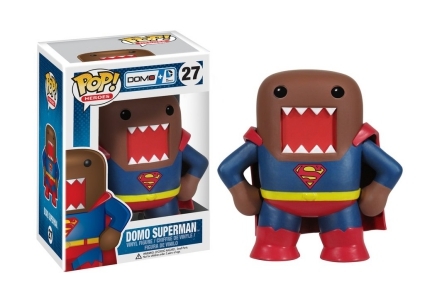 Don't worry, Clark Kent fans, Funko Pop Domo DC Heroes also features Domo Superman standing in the signature outfit. 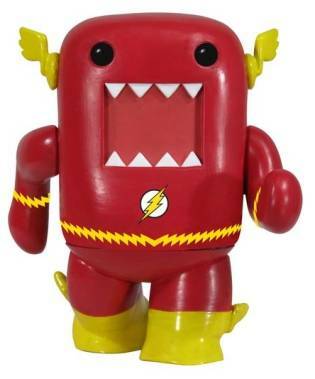 Additionally, Domo Man of Steel, a 2013 San Diego Comic-Con exclusive, sports a blue, silver and red costume. 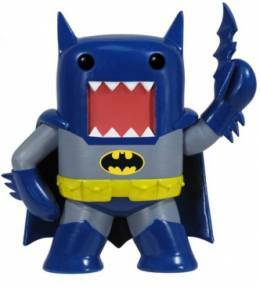 Enjoy more DC Heroes with our related Pop! guides. 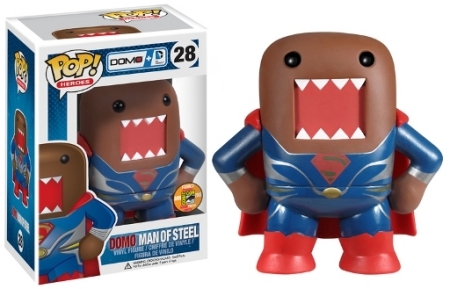 FUNKO POP DOMO MAN OF STEEL 2013 SAN DIEGO COMIC CON EXCLUSIVE #28 W POP PROT.